Guitar is an instrument that many people dream of playing. Private lessons are the best way to learn, and our professional instructors can guide you whether you’re a beginner or more experienced. What type of guitar: Acoustic Guitar or Electric Guitar? If you’re a square one beginner, nylon string (classical style) guitars will be easiest on your fingers. Once your fingers toughen up a bit, you can move on to steel string and/or electric guitar. If you have some experience playing guitar, our instructors will assess your current level, look for any issues with technique that need to be adjusted, and then boost your playing to the next level and beyond. 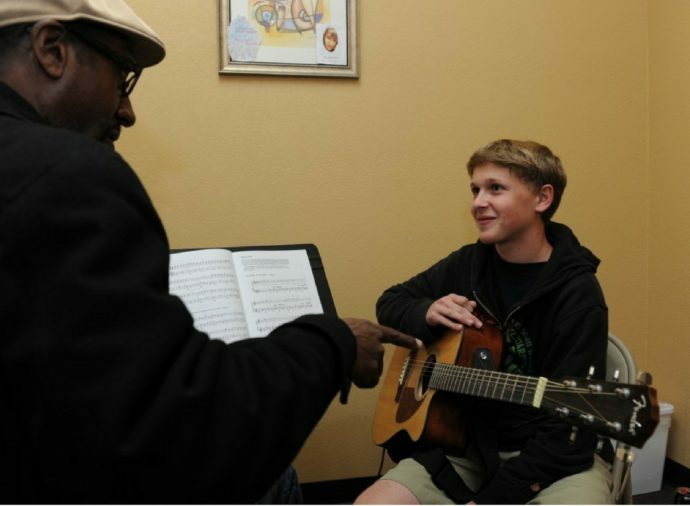 Many of our guitar students have gone on to form their own bands or to study music at the collegiate level. For students 16 years and under, we have a Saturday Rock School class where they get experience playing with others in a band and opportunities to play live shows in local venues. While we teach students of all ages and skill levels (including adults), this is one instrument you don’t want to start too early. Children ages 6 and under are generally not prepared for the finger pain involved in pressing down strings to form notes and chords. 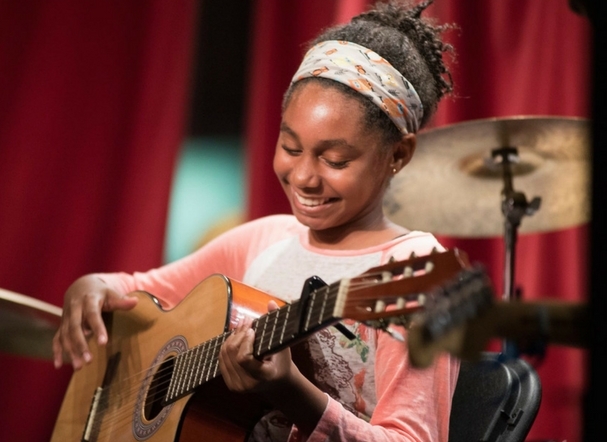 For kids ages 6 and under, please consider one of our introductory group music classes which will give them a great feel for the fundamentals of music and help prepare them for private studies later on. Whether you want to play guitar around the campfire or conquer the stage, we have the right guitar teacher for you. 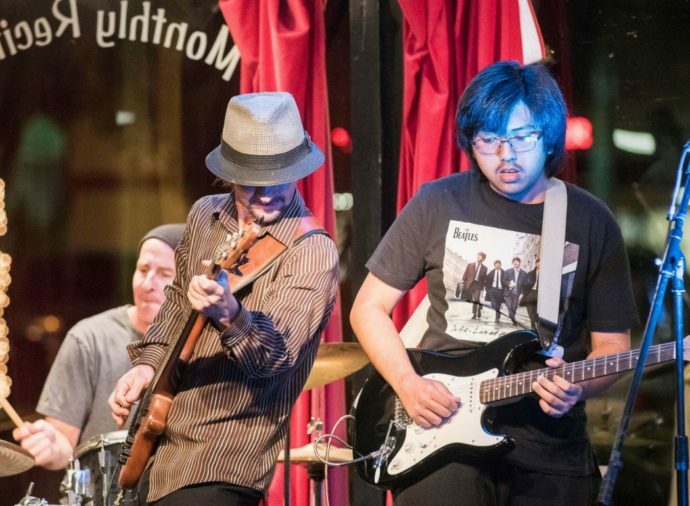 All guitarists have the opportunity to perform at our monthly First Fridays recitals, often with a full live backing band on bass, drums and vocals. 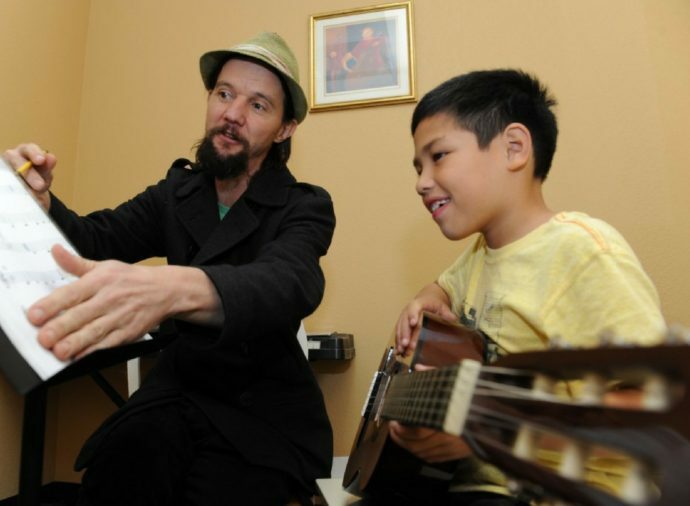 Our guitar instructors have played with national touring acts and have extensive playing and recording experience. Available Monday-Saturday. Call us at (562) 490-0222 to get started.